Warhol, Lichtenstein, Hamilton and many more are noted for their keen yet creative observations on cultural landscapes throughout the decades. From Campbell's Soup ads to magnificently embellished comic drawings, these creatives have epitomized tastes, national sentiments, and even consumption habits. Adding to the list of pop art creatives is Rhys Archer Designs. 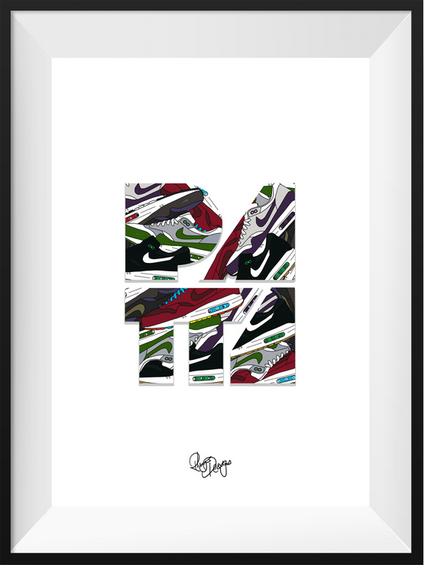 Coming out of the United Kingdom, this graphic design firm has created numerous prints surrounding popular sneaker culture. 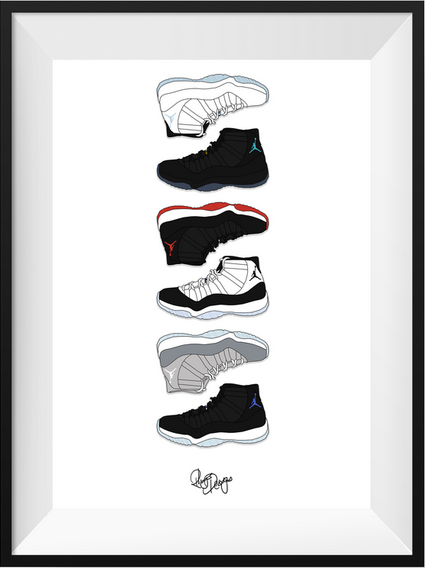 Iconic models, such as the Air Jordan XI and Air Max 1 are some of the subjects for colorful prints that would complement any interior space. Head over to Rhys Designs' website to check out some of their iterations on this current urban landscape.